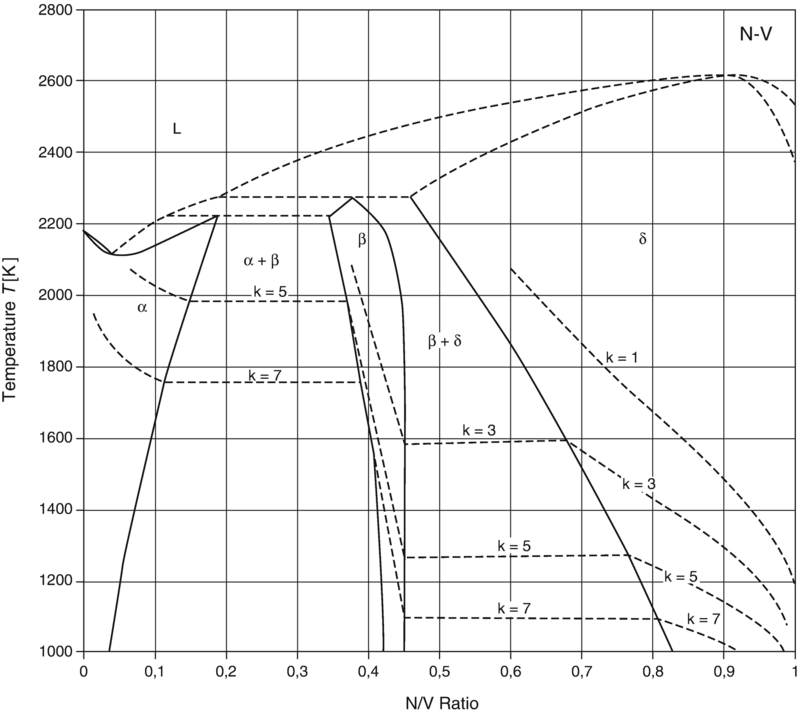 This chapter provides the phase diagram of N-V (nitrogen-vanadium) system. 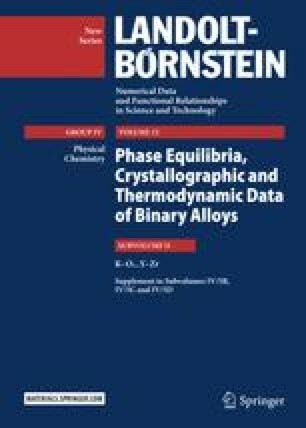 Applying thermodynamic calculation [00Wan] has obtained an assessed phase diagram. The results are plotted in Fig. 1.